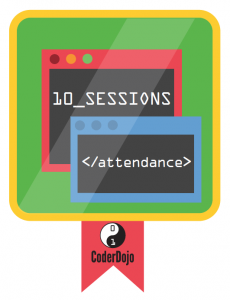 This entry was posted in CoderDojo, dojo discussion, news and tagged attendance, badge, CoderDojo, ninja. Bookmark the permalink. Well done, you earned them. I got a new badge. It says MENTOR ’cause I am helping out on Tuesdays for the year. Yay!!!! !